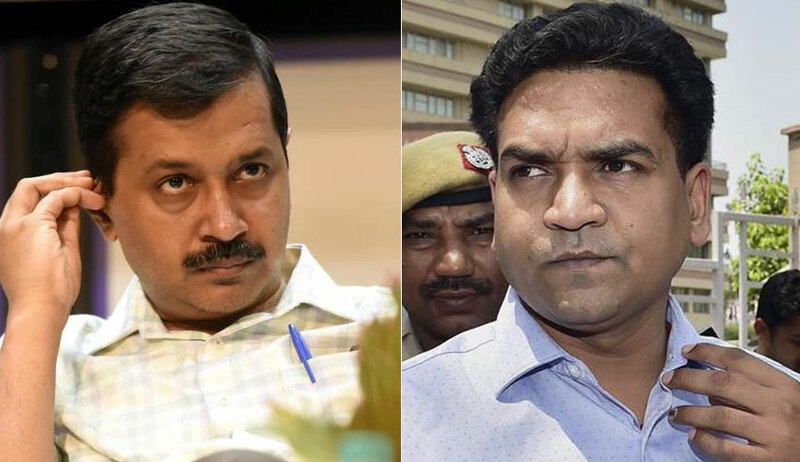 Rebel Aam Aadmi Party MLA Kapil Mishra has moved the Delhi High Court against Chief Minister Arvind Kejriwal’s absence from the Delhi Assembly who, he says, has less than 10 per cent attendance in the House while seeking direction to the Lieutenant-Governor to ensure Kejriwal’s presence in the Assembly while considering the feasibility of making 50 per cent attendance mandatory for MLAs to get their salaries. The matter was mentioned before a bench of Justice Sangita Dhingra Sehgal and Justice C Hari Shankar which allowed the matter to be listed on Tuesday. Advocate Ashwini Upadhyay, counsel for Mishra, said the court was informed how the Chief Minister, who is the Water Minister also, is absent from the Assembly since a long time now even as Delhi is facing a huge water crisis. The petition also called for direction to the LG and Speaker of the Delhi Assembly to ensure “the presence of the Chief Minister in the Assembly and reply the Questions related to the public interest”. It also prayed for direction to the LG and the Speaker “to take appropriate steps to ensure presence of all the MLAs and the Ministers, including the Chief Minister, in the Assembly in at least 75% of the sittings and that the LG should ascertain feasibility of “No Work - No Pay” for the MLAs, if presence is less than 50% in Assembly”. “Last year, Delhi Assembly had 27 sessions but the Chief Minister, who is Water Minister also, was present in 7 only. It is not out of context to state that Delhi faces water crisis every year. During Question Hour, he was never present in Assembly in last 40 months. This shows how serious the Chief Minister is in discussing matters related to the people of Delhi and their development and performing the duties expected of them,” said Mishra in his petition. He demanded that “the Chief Minister should bring out an annual report card clearly outlining his performance. He needs to inform the people of their constituency and also all the citizens of Delhi, how well he performed against indicators like their attendance in the assembly, the number of questions that he replied, his understanding and appreciation of the different policies and laws that he made, the time that he spends in consulting their constituents, how well he oversaw the executive and statement disclosing his income and assets”. Giving out a list of dates, Mishra said the Chief Minister was absent in the Monsoon Session in August 2017, which was called to table pending Bills, particularly the Minimum Wages Bill, which were passed by the Delhi Assembly but returned by the Central Government on the grounds of lacuna in procedures and rules. In October 2017, the CM was absent in the Special Session, which was called to discuss the fate and future of guest teachers. In January 2018, the Chief Minister was absent from the Special Session, which was called to discuss the matter of sealing while in March, he was missing from the Budget Session, something which has never happened before in the history of Delhi Government. In June 2018 also, Kejriwal was not present in the Special Session called from June 6 to 10 to discuss the full statehood of Delhi.